This recipe format has been improved! For an updated version of this recipe, go here. We love Maple-Orange Mashed Sweet Potatoes for Thanksgiving–or any time! 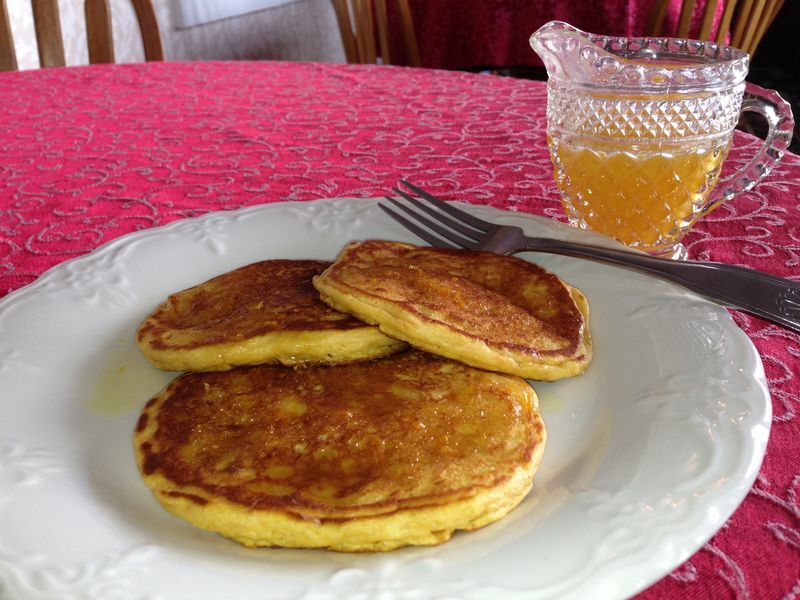 This year I created Sweet Potato Pancakes with the leftover sweet potatoes and topped it with Orange Syrup. Extraordinary! You can have these with regular maple syrup, but the orange syrup makes them fabulous.